36 in. high x 5.5 in. dia. 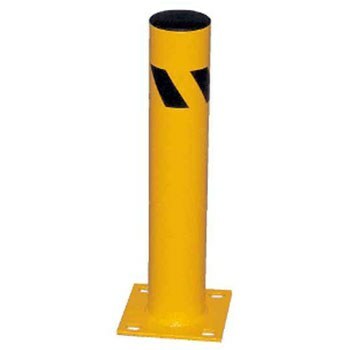 Steel Safety Bollards eliminate impact damage from motorized vehicles. All models employ a double welded 1/4” x 8” x 8” steel base plate with four 7/8” x 1-1/4” slotted holes for secure mounting. For the most demanding protection, the removable plastic cap permits the tube to be filled with concrete. Anchoring hardware is NOT provided.